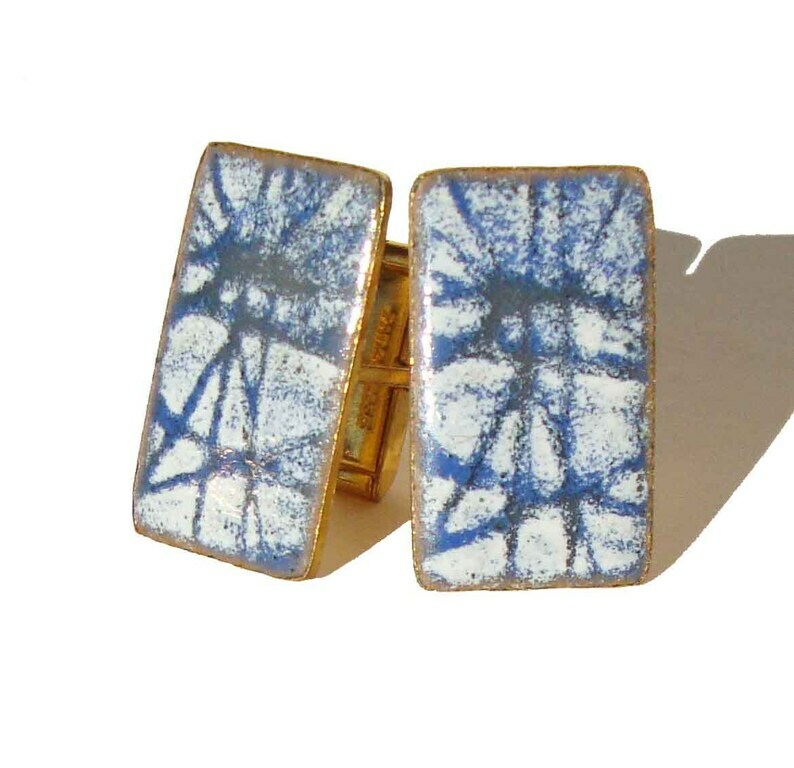 An abstract geometric design is featured in this attractive pair of vintage men's cufflinks, with blue and white enamelwork, circa 1950s. The modernist cufflinks are rectangular in shape. have a gold plated base, and are enameled with an abstract rutilated design in a dusty teal blue and white colored glaze. They measure 5/8 of an inch wide by 1&1/16 inches high, and have a patent number of 2472958 which refers to the patent of the toggle which was granted in 1949. The cuffs have a combined weight of 12.8 grams.